On September 3, the Environmental Protection Agency (EPA) personally attacked a reporter from the Associated Press in a press release – citing an article from Breitbart. American Oversight is investigating why the EPA attacked AP reporter Michael Biesecker and whether they colluded with Breitbart to do so. 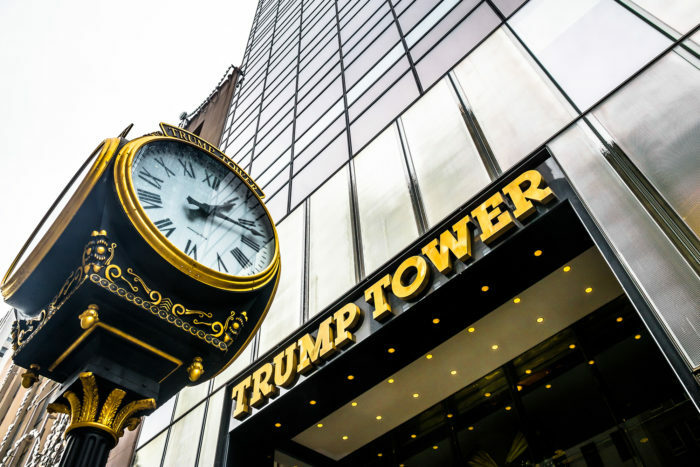 The Department of Justice confirmed in a court filing on Friday evening that neither the DOJ nor the FBI have any records supporting President Trump's tweeted assertion that Trump Tower was "wiretapped." Motion for summary judgment filed by the DOJ in American Oversight's FOIA lawsuit seeking records of wiretaps of Trump Tower. In the motion, DOJ confirms that no records exist to confirm President Trump's tweets alleging that he was "wiretapped" by former President Obama. Non-partisan ethics watchdog American Oversight today called on Congressional leaders to investigate the Trump administration’s handling of the proposed merger between Time Warner and AT&T. Following yesterday’s startling disclosure of direct interference by President Trump in an ongoing investigation of his administration, American Oversight is seeking records of any attempts by the president to obstruct the FBI investigation into Russian meddling in the election. American Oversight sent a letter to Senate Intelligence Committee Chairman Richard Burr and Vice Chairman Mark Warner urging them to request any recordings of conversations between President Trump and former FBI Director Comey – and to issue subpoenas if the president does not comply. “President Trump’s decision to fire FBI Director James Comey – on the thin pretext of objecting to actions that the president and Attorney General had previously praised – sends a clear message that his greatest concern is preventing scrutiny of himself or his associates." American Oversight today demanded that the Department of Justice release documents related to the firing of FBI Director James Comey. American Oversight also called for the DOJ Inspector General to conduct an independent investigation into whether Attorney General Jeff Sessions violated his recusal from matters relating to the 2016 election. American Oversight today sued the U.S. Department of Justice (DOJ) for the release of records related to any wiretaps of Trump Tower and for other documents related to the investigation of the Trump campaign’s connections with Russia. American Oversight is filing a Freedom of Information Act request to uncover the facts behind DHS’s attempt to force Twitter to reveal the identity of an account critical of administration policy.